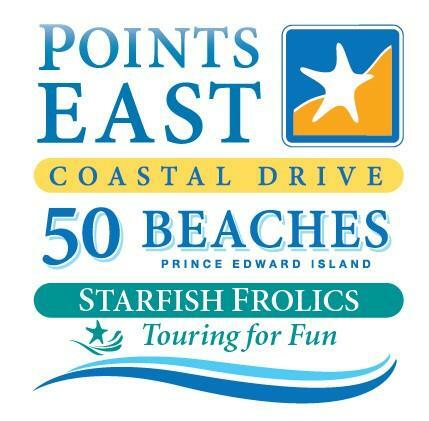 Frances Braceland is the Project Manager for the Souris and Area Branch of the PEI Wildlife Federation. 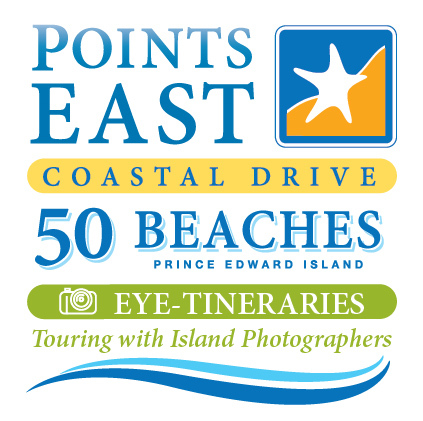 She moved to Eastern PEI from the UK in 2016, so spent her early time on the Island getting to know the natural beauty of the area from an outsider’s perspective – weekends and evenings visiting spots recommended to her by locals, as well as through her work with Souris Wildlife. Annandale wharf – The first time I visited Annandale Wharf, I fell in love with its rustic, historic look. 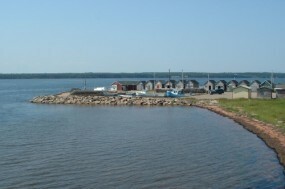 The old fishing shacks are well-maintained and the small size of the harbour makes it all the more quaint. The outbuildings are home to a small population of Barn swallows, which migrate here from central and south America for the sunny, summer months to raise their young. There is also an excellent chance of seeing a Bald eagle there during the fishing months as a few have learned there’s a good chance of getting a spare fish or two if they pay a visit. New Harmony Demonstration Woodlot – This is one of my favourite few spots for a scenic walk that’s not a beach. The woodlot is located down the historic Glenncorodale Heritage Road, which features a beautiful canopy of leaves shading the road with green light and making speckles of sunlight on the red soil. The trail system in the woodlot is extensive, winding through stands of trees with interpretive boards identifying the different types of trees, so you can learn as you amble through. I’m here at least once a week during the autumn to walk my dogs and see the changing colours of the leaves heralding the change in the seasons. Little Harbour – This is a beautiful beach, stretching out all the way to Red Point, with beautifully soft sand and an open vista out onto the Gulf of St Lawrence. The drive to the beach takes you through a migratory bird sanctuary, where you are bound to spot a Red-winged blackbird calling out from a cattail or a Green-winged teal fluffing their plumage. Basin Head – A jewel in the crown of PEI! 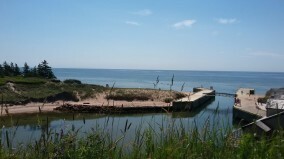 Basin Head is one of the most popular places in PEI for its ‘singing sands’, warm water and nearby commercial amenities. However, there is so much more to Basin Head than just the sun and the surf. The beach is a Marine Protected Area, one of only a handful in all of Canada and one of only two which is accessible by land. There is a unique species of seaweed living in the lagoon, as well as a diverse ecosystem, which makes it a super special place. The sand dune system is also provincially protected as it is home to rare plants found living together in only a few other places in North America. I spend a lot of time here though work, from canoeing the lagoon for water quality monitoring and to running experiential experiences for tourists during the summer, and I could never get tired of the place! 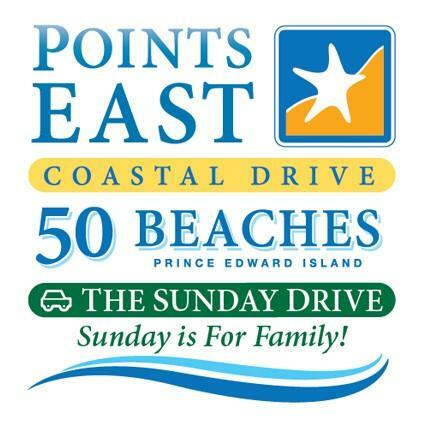 East Point – As they say in the tourism literature, this is ‘where the sun rises, and the two tides meet’. 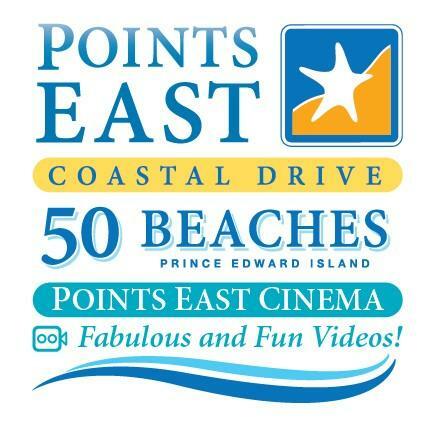 East Point is a beauty spot if there ever was one. You can see the tides crashing together just off the point, whales out at sea and it’s one of the best places on the island for bird watching. There’s even a fabulously maintained lighthouse for fascinating information about the history of the Point and provides an even better view of the landscape. 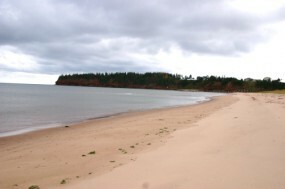 Big Pond Beach – This is one of my favourite beaches. A small side road takes you on a short, scenic drive through blueberry fields down to a small car park next to a beautiful flat pond, the end-point of the Cross River, with a stunning view over the sand dunes and out to sea. There’s a small path through the bracken of the sand dunes that leads over onto the beach – and what a stunning place! Small and sweet, Cross River flows in on the west side, which can be waded through easily and then there’s excellent rocks for scrambling across, over and around the cliffs. The east side of the beach is a great spot for sea glass hunting but also has beautiful pebbles which I’ve collected for home decorating. The beach is a nesting and nursery ground during the summer for the endangered Piping plover, so be sure to keep dogs on a leash, but if you can spot one of these cute little birds then you are in luck. Just make sure not to get too close as they are easily spooked! Larkin’s Pond – This is a short drive away from the main highway, down the St Charles Road and along the unpaved Mill Road to the north end of the pond. It is one of the largest public wetlands in eastern PEI and is managed by Ducks Unlimited and Souris Wildlife. There’s a boat launch here where you can launch a canoe or kayak and enjoy a couple of hours scenic paddling around the water, surrounded by trees and marsh land. The pond is also a fantastic place for recreational fishing and bird-watching.